Does this heartless thief now have a saint’s heart? Sorry for so little blogging recently. Life has been very busy, for reasons which I hope to be able to explain soon. The BBC (also Joel Watts in a retweet, but surprisingly he doesn’t seem to have blogged about this yet) reports that the heart of Dublin’s patron saint has been stolen from the cathedral where it was kept. 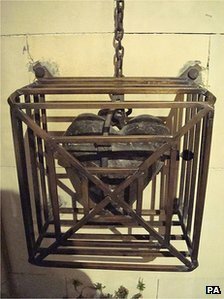 The 12th century relic of St Laurence O’Toole was stolen from inside a cage with iron bars. The thief apparently ignored nearby gold chalices and candlesticks and intentionally took only the heart. Interestingly, this is an Anglican (Church of Ireland) cathedral. It seems strange to me as an Anglican that a relic like this is, or was, kept in one of our church buildings. It is of course of historic interest. But if it had become an object of veneration, it is perhaps good that, like Nehushtan in 2 Kings 18:4, it has been removed. I will give you a new heart and put a new spirit in you; I will remove from you your heart of stone and give you a heart of flesh. 27 And I will put my Spirit in you and move you to follow my decrees and be careful to keep my laws. Does this heartless thief now have a saint's heart? I can’t be bothered to learn the language I’ve chosen to communicate in. In 2011, with so much of the world’s knowledge available to any of us, it’s astounding that there exist bloggers who’ve advanced past adolescence yet still don’t know that plurals don’t take apostrophes. – but in no other cases. The unnecessary apostrophe in other plural’s is sometimes called the greengrocer’s apostrophe, because of its common use with fruit and vegetable’s. the Gospel’s are designed to have these elements as their focal point. In Turkish, proper nouns are capitalized and an apostrophe is inserted between the noun and any following suffix. Other languages use apostrophes before suffixes added to foreign names, but Turkish seems unique in using it also with local words used as proper nouns. Could this usage have been borrowed into informal English from Turkish? This seems unlikely, but is not impossible. Well, whether or not that is where it came from, that is where it should go. The Turks are welcome to their apostrophes, but in English they should be restricted to contractions and possessive endings. An evangelist who claimed to have created miraculous pregnancies through prayer is to be sent back to Kenya to face child abduction charges. 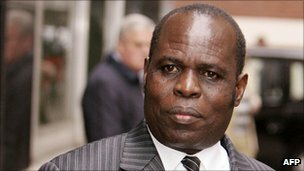 I wonder, did Pastor Gilbert Deya really claim to have created something? Or did he claim that God did something in response to his prayer, and were his words misrepresented by a sub-editor? Infertile or post-menopausal women who attended his church in Peckham, South London were told they would be having “miracle” babies. The miracle babies which are happening in our ministry are beyond human imagination. It is not something I can say I can explain because they are of God and things of God cannot be explained by a human being. Well, God can do miracles like this, and if he creates a baby it doesn’t have to have its parents’ DNA. After all, on the orthodox Christian understanding of the Virgin Birth Jesus must have had different DNA from his single biological parent – but, as I argued a few years ago, there may be more to that story than meets the eye. But the evidence in this case seems to suggest that the babies in fact came from Kenyans unrelated to the childless couples. The child abduction charges are arguably not serious because the real mothers were very likely willing to give up their children for adoption, although clearly the legal formalities were not completed. What is serious, although perhaps not technically criminal, is the way in which Pastor Deya apparently deceived people into believing in miracles. I know some of my readers here think that I believe too easily in claims of miracles made by preachers and evangelists. What I have always said is that we should look for evidence, and that if none is available either way we should not reject the claims of our Christian brothers and sisters or call them liars. In this case, however, there does seem to be clear evidence of deception. And so it is right that the minister be discredited, and be punished for his criminal activities.